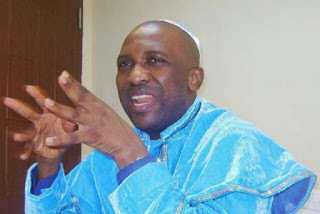 The General Overseer of the Inri Evangelical Spiritual Church, Oke-Afa, Lagos, Primate Elijah Babatunde Ayodele, has released new prophecies regarding the unity of Nigeria and the agitation for Biafra. Ayodele predicted that Biafra will be actualized but not through the leader of the Indigenous People of Biafra, IPOB, Nnamdi Kanu. The clergyman, who made the prediction, disclosed that he sees Kanu having problems with the bail granted him which is due to his activities. In his new book, “Warning to the Nation” Ayodele says he sees Nigeria breaking up by 2032 into five different countries. Ayodele also disclosed that the Name Aso Rock and location of Aso Rock will change, while there will be shootings and death in the Villa. According to Ayodele, “The voice of God says the name Aso Rock will be changed in the nearest future and the location may also change. Let us pray to rebuke death and shootings in the villa. “I forsee that from 2032, Nigeria will not be one country again as I foresee five nations coming out of Nigeria. In 2024, there may be a natural disaster and in the nearest future, the name Lagos may change and Ibadan may become a state. Noting that the second term bid of President Muhammadu Buhari is dicey, Ayodele predicted that power will still remain in the North come 2019. He also stated that those close to Buhari will disappoint him and this will lead to a forceful change in government. Ayodele said, “The spirit of God says power will still return to the North in 2019 and Nigerians will be shocked as regards who becomes president. The second term bid of President Buhari will be dicey. I foresee that the international community will gang up against him especially on issues of human rights and corruption. “President Buhari needs prayers for his health as his health condition will be troubling him. People who are to help the Buhari government are the ones that will fight him. I foresee an unexpected change in the government of Buhari, he will be disappointed by close confidants. On the issue of agitaton for Biafra, Ayodele said, “I foresee that Biafra will be actualised but not now. Biafra is going to battle with Nigerian forces for they have done a lot of underground works.